The Anna and Meyer Prentis Apartments are located on the A. Alfred Taubman Jewish Community Campus in Oak Park, Michigan. Prentis Apartments offers 195 one-bedroom Independent Living apartments. Rents are subsidized through the Department of Housing and Urban Development (HUD) based on annual income. 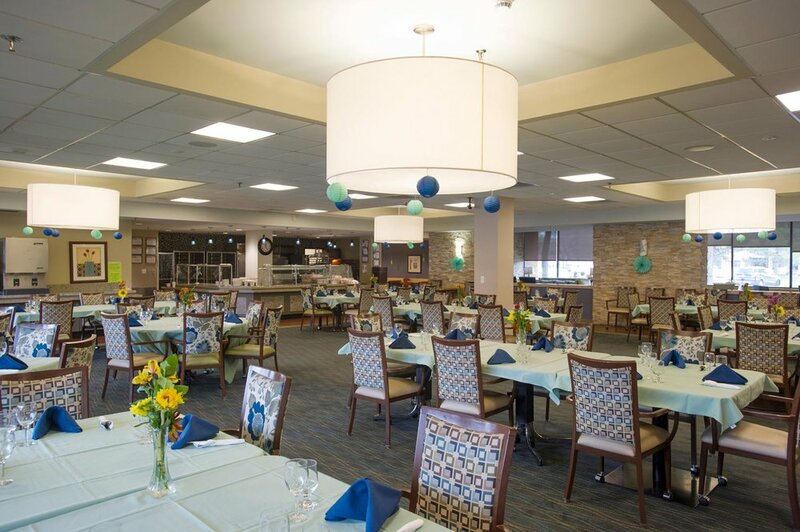 Prentis Apartments’ recent renovation provides warm and elegant communal living spaces where residents can enjoy Jewish Senior Life’s signature programming and services, or just gather for some social enjoyment. 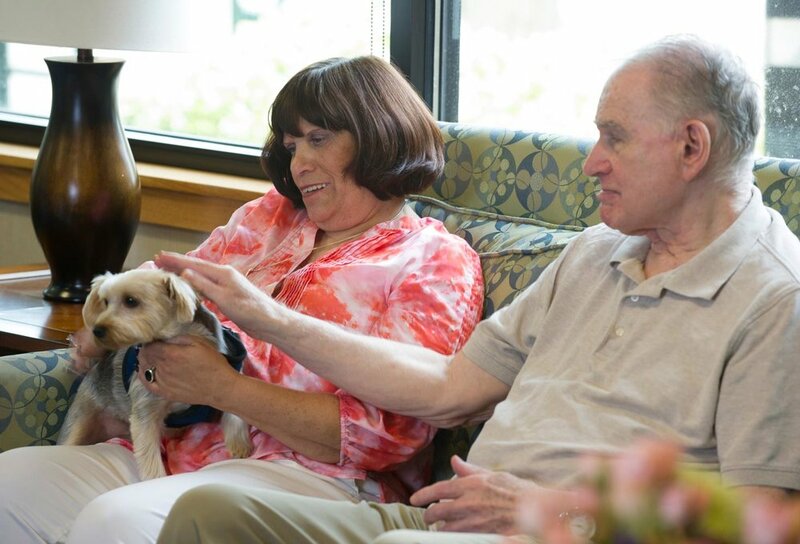 The strong sense of community fostered at Prentis Apartments, along with the highly trained and dedicated staff of Jewish Senior Life, make Prentis Apartments a wonderful place for older adults to age safely and securely, while enjoying all that life has to offer. Five delicious Kosher dinners are served each week, Monday through Friday. I was very close to my grandparents at a young age. My strong bond to my grandmother encouraged my interest in working with older adults. I have worked in the aging field throughout my career. I was very proud to join the JSL team in 2000. I was hired as the building Social Worker and was eventually promoted to Building Administrator in 2010. Although, I have many responsibilities, I most enjoy spending time with the residents and families of Prentis. Working at JSL and with older adults gives me purpose and it is important to me to make a difference every day in the lives that I touch. In my spare time, I enjoy spending time with my family of 10 grandchildren …and still growing strong! I hold a Master’s in Social Work from Wayne State University, as well as a Bachelor’s Degree in Psychology from Oakland University. I am passionate about working with older adults and enjoy working with the residents of Prentis Apartments. I love learning about their lives and interests and always feel enriched by their wisdom and stories. I was an intern at Prentis during my last year of graduate school and connected with the residents during that time. My first internship for the MSW program was at Services for Older Citizens in which I was involved in the aging populations of the Grosse Pointes and portions of Harper Woods. Working alongside older adults of diverse populations and communities has allowed me to gain insight into the services and resources they may benefit from. The greatest influences in my development were spending weekends as a child with my maternal grandparents in Detroit and my graduating from Cass Technical High School. My grandparents were nurturing individuals who knew what was important in life (long walks and fresh baked-goods). When I conceded that becoming a mechanical engineer was "not in the cards," I embarked on a lifelong journey into the social sciences. I have devoted the past 41 years to the field of geriatric social work with a focus on end-of-life care. Outside of work, I pursue my interests in ceramics, poetry, photography and classical guitar. I came to the United States in 1997 from Latvia. My own experience as an immigrant has made me more sensitive and compassionate to the difficulties other immigrants often experience. I wanted to be helpful and supportive in all aspects of their lives. So, I enrolled in the Michigan School of Professional Psychology where I thought I could help many Russian-speaking people who had come to this country. I graduated with a MA, LLP degree. 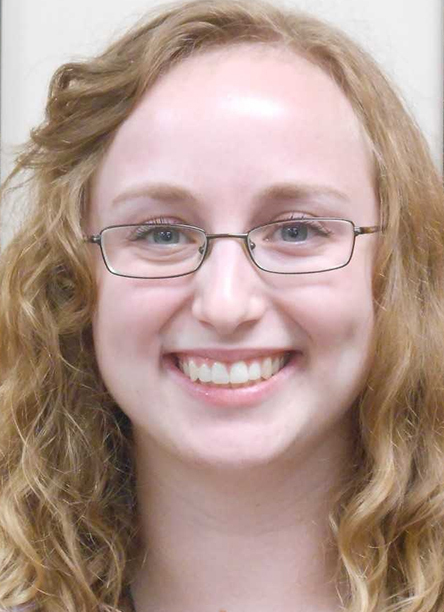 I started my work as a Resident Service Coordinator and Russian/English translator at Prentis apartments in June of 2012. I love what I do and have been helpful to our residents in handling their daily challenges. Not only can I utilize my Russian language knowledge, I have the ability to recognize cultural differences and apply professional knowledge and experience that benefit our Russian speaking population. 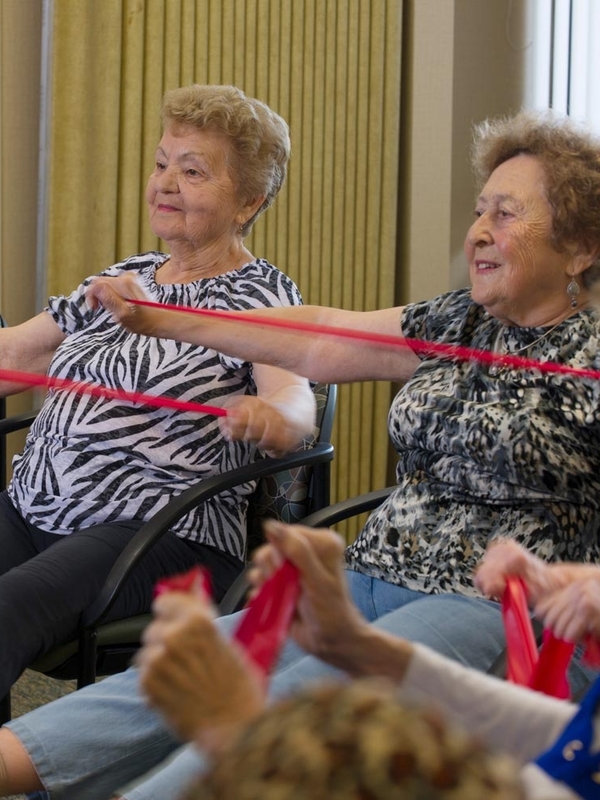 Prentis Apartments is a wonderful place for older adults to live active and fulfilling lives. I find great joy in my role as Program Coordinator, and look forward to organizing enriching activities, events, celebrations, and outings for our residents. I love to plan and take having fun very seriously! I attended Oakland Community College's Mental Health & Social Work program and graduated with an Associate's degree in Liberal Arts. I then went on to study Health Sciences at Marygrove College and finally Psychology at Wayne State University. I have many years of experience working with the aging population in memory care, assisted living, independent living, and home care. I have almost 10 years’ experience in the mental health field, working in both inpatient and outpatient settings.When I am not working, I enjoy travel, movies, music, podcasts, crafting, and spending time with my family; my husband Jason, son Dezi, daughter Darla, and two dogs Swee' Pea & Apollonia. I joined the JSL team at Prentis in the spring of 2016 as the Activities/Program Coordinator. I am very excited to start a new chapter as Assistant Administrator of the Prentis Building. I graduated from Oakland Community College with an Associate’s Degree in Mental Health/Counseling in 2012. During my time in college, I was a Social Work intern for JSL at Prentis Apartments. Prior to earning my degree, I spent time as a Teaching Assistant in autism/spectral disorder classrooms, where I really discovered my passion for developing programming to enrich the lives of others. I was born in the Philippines and graduated from Maritime Academy as a Merchant Marine with a Bachelor’s degree. I worked for 4 years in a merchant ship and then eventually moved to the United States. From 1994 to 1999, I worked for the Jewish Home for the Aged and at the West Bloomfield campus in the Maintenance Department. After I left, I studied Climate Control Technology at Northwestern Technological Institute. Then in 2008, I came back to work in the Jewish community for Jewish Senior Life. I have been the Maintenance Supervisor at Prentis Apartments for the last 10 years. I really enjoy what I do! We have a great team and we keep our building and the residents’ apartments in great shape, safe and beautiful.